Share a previous-version secured database across several versions of Microsoft Access. With one exception, the issues involved when sharing a secured database across more than one version of Microsoft Access are the same as the issues for sharing an unsecured database across more than one version. Tell users who will be upgrading to Microsoft Access 2000 to join the appropriate workgroup information file with the oldest version of Microsoft Access that will be sharing the secured database. Microsoft Access 2000 can use workgroup information files that have been created with previous versions, but previous versions can only use workgroup information files that have been created with Microsoft Access 2000 or a previous version. Important: If users will be sharing a secured database from Microsoft Access 95 or 97, you should compact the current workgroup information file with Microsoft Access 2000 before using it. Compacting the file by using Microsoft Access 2000 does not change the file format, so the file can continue to be used by any Microsoft Access 95 or 97 users who are not upgrading. If the shared database is Microsoft Access version 2.0, convert the workgroup information file that will be used with the secured database and then tell only users who are upgrading to Microsoft Access 2000 to join the converted workgroup information file. All users who are not upgrading from version 2.0, must continue to use the workgroup information file produced with that version. Normally, Tables, Queries or other objects from another database can be imported manually by selecting Import from Get External Data option from File menu. But this can be achieved through VBA Code too and this question, HOW TO? is raised in Microsoft Access User's Forums and I thought it is useful to those who look for this solution. Hence, I present the Code here for importing Tables, Queries and Forms separately. The next method imports all Tables from a Source database into the active database except the Microsoft Access System Tables. 'and import all of them except System Tables. 'Filter out Microsoft Access System Tables. 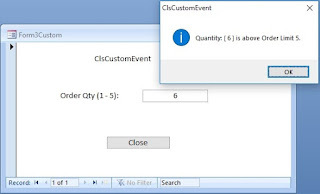 Next Function Imports all the Queries from the Source database into the current database. 'and import all of them. The ImportForms() Function Imports all the Forms from an external Microsoft Access database into the current Database. The ExportForms() Function Exports all the Forms into an external Microsoft Access database. With little modifications to these Codes, they can be used for transferring objects between two external databases. Next >> Create Excel File from Access. Many thanks for these sleek functions. I used the import queries which works smoothly.